If you need to convert a VHD to VMDK, VHDX, or VDI, I’ve got a solution for you that you can use for free. BackupChain released a full blown converter toolset as part of their disk backup repertoire, including amazing new P2V, V2V, and V2P conversion tools. Apart from P2P, V2P, and V2V, BackupChain also contains live backup for all major virtual machine platforms. Reasons to convert from VHD to VHDX: you want to create a bigger virtual disk and use the many new features of the VHDX format, such as better consistency checks. Reasons to convert from VMDK to VHD or VHDX: you want to switch from VMware to Hyper-V, at least for a test and see how it goes. It’s not uncommon for companies at some point to decide to switch platforms, for whatever reason. With BackupChain you are now prepared for any circumstance. 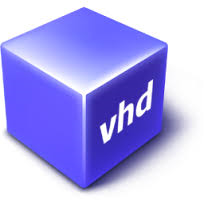 Reasons to convert VHD and VMDK to VDI: VirtualBox is a great development and testing tool. If you wanted to take a live backup copy of your production VMs and migrate them to your development machine or test lab and then perhaps back to the production farm, BackupChain is the ticket!